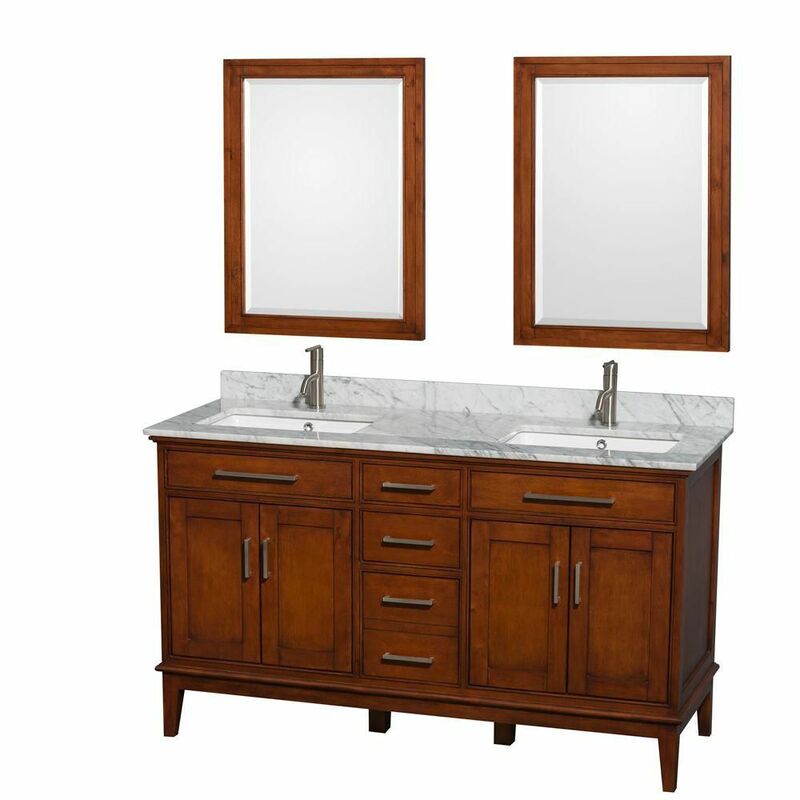 Hatton 60-inch W 3-Drawer 4-Door Vanity in Brown With Marble Top in White, Double Basins With Mirror For a bit of traditional style in your bathroom, choose this beautiful vanity. Its comes with a nice white marble counter and brown solid wood base for strength and style. This classic set from Wyndham Collection will make your bathroom look brand new. Hatton 60-inch W 3-Drawer 4-Door Vanity in Brown With Marble Top in White, Double Basins With Mirror is rated 5.0 out of 5 by 1. Rated 5 out of 5 by Doug from Overall very satisfied with the appearance and build quality of... Overall very satisfied with the appearance and build quality of this vanity and accompanying mirrors. I'll also say that "Yes, I'd recommend it to a friend". The only thing I was not impressed with was the mounting holes/hardware for the mirrors which I replaced with French Cleat hangers.